These delivery charges are inclusive of VAT. In normal circumstances we commit to despatch your goods within 1 working day of order receipt. Most UK mainland orders are delivered within 24 hours of despatch but in some circumstances may take up to 48 hours. In the unlikely event the item you have ordered is out of stock we shall inform you and offer a refund or the opportunity to wait for the goods to arrive into our stock. Next day delivery before 12pm is available for a wide range of hardware and architectural ironmongery items. All orders for next day delivery must be made before 3pm. Orders made before 3pm on a Friday will be delivered on Monday before 12pm and orders placed after 3pm on Friday and over the weekend will be delivered on Tuesday before 12pm. If the address you have provided is incorrect or outdated, the package is usually returned to us by the carrier. Please double check your delivery address carefully when placing an order. We will send you a confirmation e-mail to tell you when your order has been placed and then a further e-mail when the goods have been despatched. 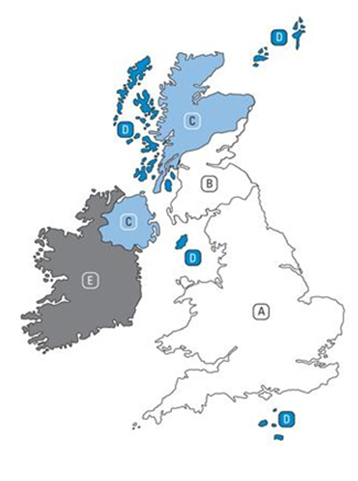 Most UK mainland orders are delivered within 24 hours of despatch but can take up to 48 hours. If your order has not been received within that time scale, please contact us by phone or e-mail. Our carrier requires a signature for all parcels. If our carriers are unsuccessful on the first attempt they will leave a card and contact number for you to collect your goods or in some cases re-arrange delivery. If the parcel is not collected or delivered after a period, the package will be returned to us. If the goods you have ordered are unsuitable for any reason we will provide you with a full credit as a long as you return the goods to us in a re-saleable condition within 30 days.